Like (I imagine) most girls, I own far too much black. But black is easy. It is considered professional, it goes with all colours, it’s slimming and elegant. Plus, you don’t hear the catch phrase “X is the new white/pink/red/blue” etc. 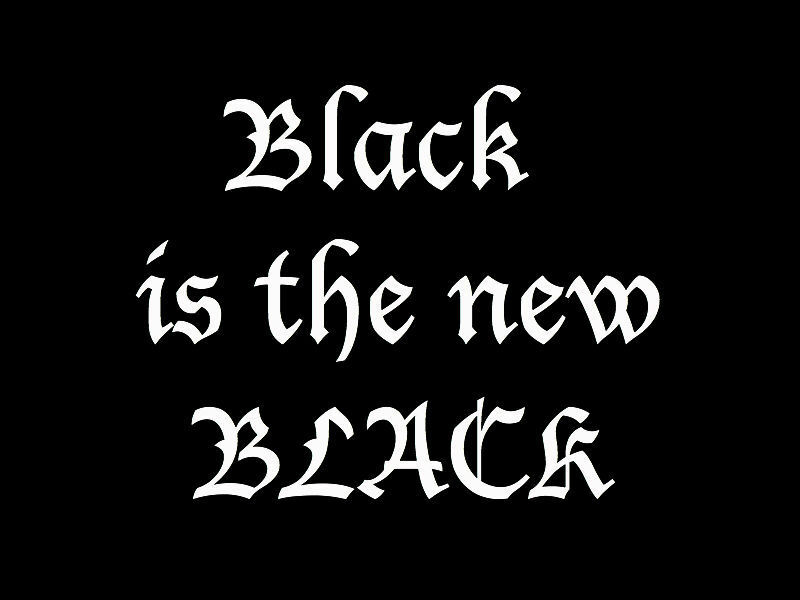 You only hear “X is the new BLACK” and things are the new black because black is awesome. I can’t actually count how much black I have because it’s all a big mess right now, but going from memory I’d say that I have a total of about 10 black tops not including jackets or cardis or dresses. It’s actually not very much – I don’t own a lot of clothes now and I did not buy many things in 2010 but with a new job on the horizon I’ll undoubtedly be adding a few more black pieces to my collection soon. I am trying to incorporate more colour now though and I prefer bold ones like blues, reds and greens. But failing that, there’s always the ability to accessorize with bright necklaces, earrings and headbands.